Bundesliga | Is Bayern Munich's Manuel Neuer the best goalkeeper in football history? Is Bayern Munich's Manuel Neuer the best goalkeeper in football history? 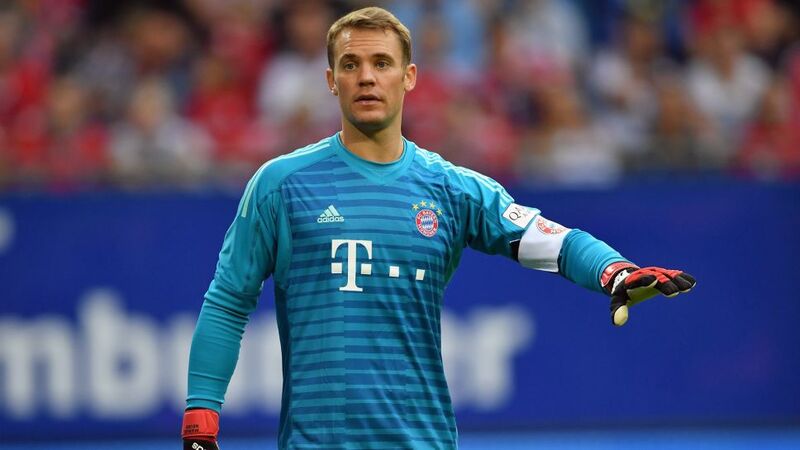 Having won almost every single trophy available, Bayern Munich captain Manuel Neuer’s claim to the throne of Goalkeeper Olympus is already pretty solid, even with the likes of Gianluigi Buffon and Lev Yashin also vying for the crown. Technical: Their basic skill set.Tactical: Their ability to read the game.Physical: Their bodily attributes.Psychological: Their mental fortitude. Having gone through the annals of The Beautiful Game and exhausted our capacity to watch highlight clips on Youtube, we’ve established the four titans who have set the benchmark in each of these categories throughout the game’s history. How does Neuer stack up to them? Scroll on to find out! Before the shot even comes off the striker’s boot, he already knows exactly how far off his line he needs to be, which hand will primarily block the ball and how much surface he will cover with his body. Reflexes kick in later for dramatic effect. While it’s not uncommon for goalkeepers to have longer careers than their outfield colleagues, age can naturally dampen their natural attributes like reflexes or flexibility. Buffon’s bullet-proof grasp on the technical tricks of the trade allow him to remain amongst the very elite even at 40 years of age. His feet; and we’re not talking about his daredevil excursions outside the box here (more on that later). Modern goalkeepers have had to expand their basic skill set to include proper passing technique in their repertoire. Buffon is more classic in this sense and has often been critical about this outfield-focused shift for the men between the sticks. Neuer’s passing game is not just “good for a keeper”, it’s good full stop. Also, the Gelsenkirchen native is second to none when it comes to the more traditional aspects of shot-stopping. We could go on for pages about his virtues, but we’d rather let the man’s saves do the talking. Watch: Manuel Neuer's Top 5 saves! At the time, it was taboo for a goalkeepers to step outside their box and concern themselves with much more than blocking incoming shots. Yashin changed that and showed the world that well-timed jumps to cut off long balls, punching the ball away instead of catching it and excursions outside of the area could be a powerful defensive weapon. It was precisely this level of impact on the very nature of the game which earned him the 1963 Ballon d’Or, a feat which no other ‘keeper has been able to match. Dino Zoff, Oliver Kahn, Buffon, Casillas and Neuer himself have all come close by making the podium of the world's best player award, but we just might never see another one take that golden ball home. In Neuer’s defense, he might well have won it in 2014 were it not for the fact that the other two candidates were Messi and Cristiano Ronaldo. While having those two aliens in circulation effectively automatically precludes anyone else from dreaming about the award, Germany’s current captain took Yashin’s revolution to new heights, deeply impacting the overall game. When we talk about “sweeper-keepers” (goalkeepers who act as an additional defender in open play) in years to come, Neuer’s face will spring to mind immediately. Especially around the 2014 World Cup, he showcased a completely new dimension to the role of the goalkeeper by extending his area of action to basically his team’s entire defending half. In the age of possession football, an additional outfield player with outstanding passing is a major advantage. Watch: The tactical advantage of having a Manuel Neuer in your team! Bravery also plays a huge role in this aspect of goalkeeping, as stoppers are constantly asked to choose between the integrity of their net or their own body. It’s no secret that it takes a special kind of personality to take up the gloves and Schmeichel proved time after time how this fearlessness can be exploited to deliver outstanding performances in goal and even help your team out offensively. He was up in the opposition box during the 1999 UEFA Champions League final in the move that led to Manchester United’s late equaliser against Bayern Munich, which opened up spaces for his teammates. Prior to that, in 1995, he bagged a late equaliser for United in the UEFA Cup against Rotor Volvograd and had a scandalous bicycle kick disallowed for offside against Leeds in the FA Cup: All wonderful moments from a player who knew the value of his presence and when best to use it. For all the technical praise we can throw at Bayern’s keeper, he is not lacking in physical stature or bravery. He is taller than Schmeichel at 6’4”, but he’s also constantly proved that he’s not afraid of physical confrontation. Neuer’s style requires him to be bold and daring in his duels with opposing forwards if he wants to lay down the sweeper-keeper law in his defensive half. Neuer’s most prominent display of bravado took place during the 2014 World Cup when Germany had to suffer in order to beat Algeria 2-1 in extra time. Most of his teammates were focused on besieging the rival box and Neuer often found himself taking defensive matters into his own hands - and feet - with some supreme tackling way outside his box. The only thing missing to fully close the circle is a goal of his own. He was responsible for the hopes and dreams of 46 million people in a country that was always among the favourites to book an early flight home every four years. Casillas’ leadership to deal with the outside pressure and Iniesta’s extra-time screamer against the Netherlands in the final put an end to that misery and ended with a massive celebration throughout the streets of Madrid with the World Cup trophy as the guest of honour. However, the keeper’s resolve was put to the test in 2013, as the rivalry between his club Real and bitter rivals Barca reached a boiling point on and off the pitch. In order to keep national team harmony, Casillas approached Barcelona captain Xavi Hernandez to mend the divide, a move which strained his relationship with then coach José Mourinho and ultimately led to his exit from the Bernabeu. While Neuer will never be faced with such a complicated situation, his leadership skills are beyond question. During his time at Schalke, he learned to cope with the responsibility of carrying a team on his shoulders as the Royal Blues constantly finished in Champions League positions thanks in no small part to their young goalkeeper’s miraculous saves. No wonder he was made captain by age 24. As technically talented as Buffon, revolutionary as Yashin, physically imposing as Schmeichel and important to team spirit as Casillas, we are enjoying a legend in our own life time. Danke Manu!